Love your garden birds during the colder months by providing them with trees and shrubs that offer them a vital food source and protection from the harsh weather.Birds and other wild creatures will be feeding themselves voraciously on any bugs, garden fruits, nuts and seeds they can find to help sustain them through the winter months. They're beautiful to watch and more importantly, a vital weapon in the gardeners war on pests. This month's Loyalty card offers are a small selection of plants that will help you LOVE YOUR BIRDS. For a larger selection of plants to attract birds to your garden, click here. 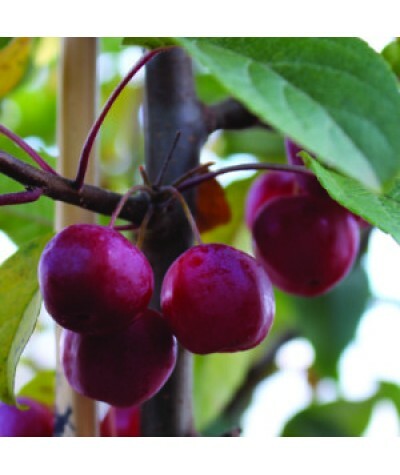 Not only do crab apples have magnificent blossom, but they provide garden birds with a much loved and needed food source during the winter months. 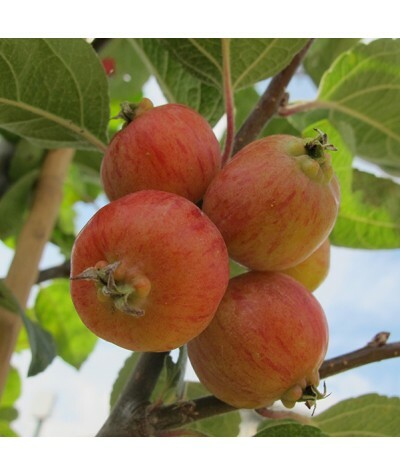 The plump and juicy fruits hang elegantly from bare branches and shine out in the winter sunshine. 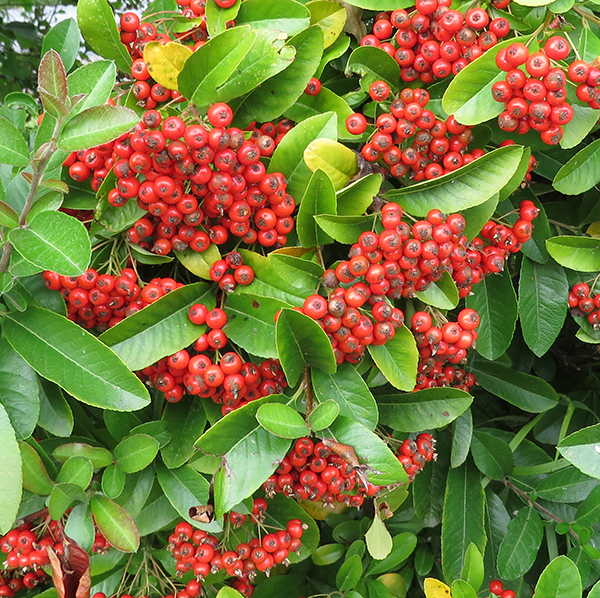 Packed with bright autumn berries, Pyracantha certainly offers the garden a hugely vibrant and dramatic effect especially when grown espaliered against a wall. Shades of bright red, orange and yellow, depending on the cultivar are stunning in the garden landscape. Grow as a hedge, privacy screen or even up a bank and provide your feathered friends with natural cover, nesting sites and a back yard feast! 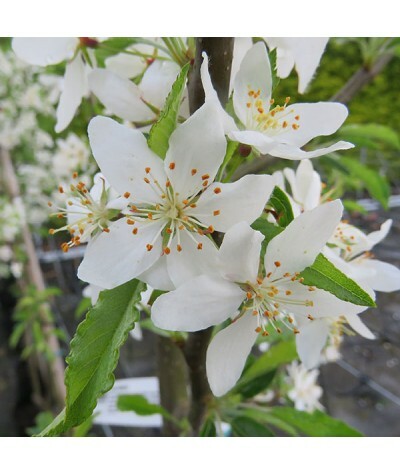 The evergreen leaves are neat and tidy, and the mass of pretty white flowers in spring provide an important source of nectar for bees and other insects. 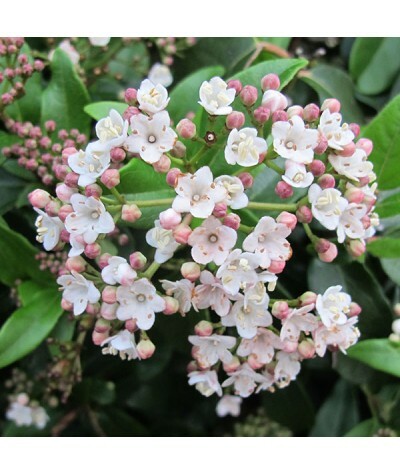 With dense evergreen foliage and beautiful flower clusters that generally last from November to April, Viburnum tinus 'Eve Price' provides a wealth of shelter and most importantly bears a mass of black berries that many birds love. 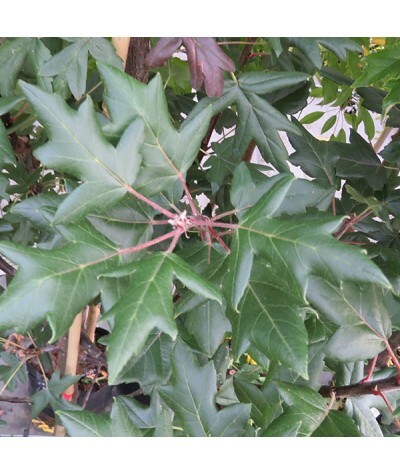 An extremely versatile shrub that can grow almost anywhere. It provides that all important evergreen structure that gardens love in the winter months. Hardy and easily maintained with light pruning to shape, the black berries that on a blue hue that makes a fab addition to indoor flower arrangements. 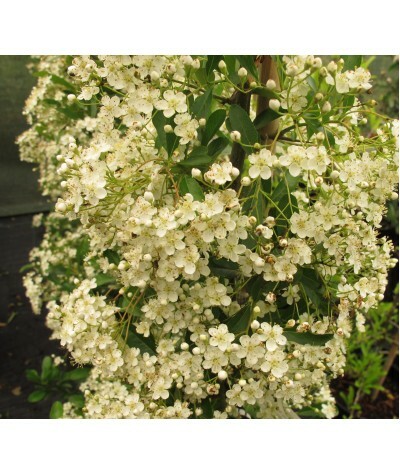 Makes an excellent thick hedge with a height and spread up to 3 metres.